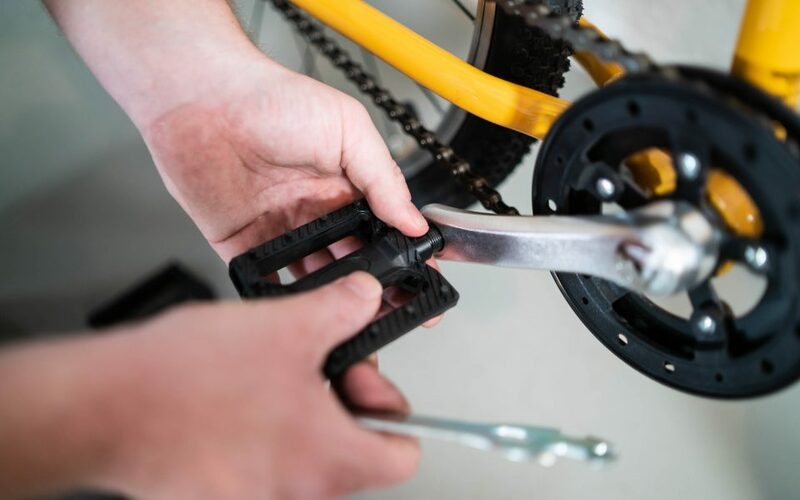 1) Remove the bike and the small parts box from the bike box. 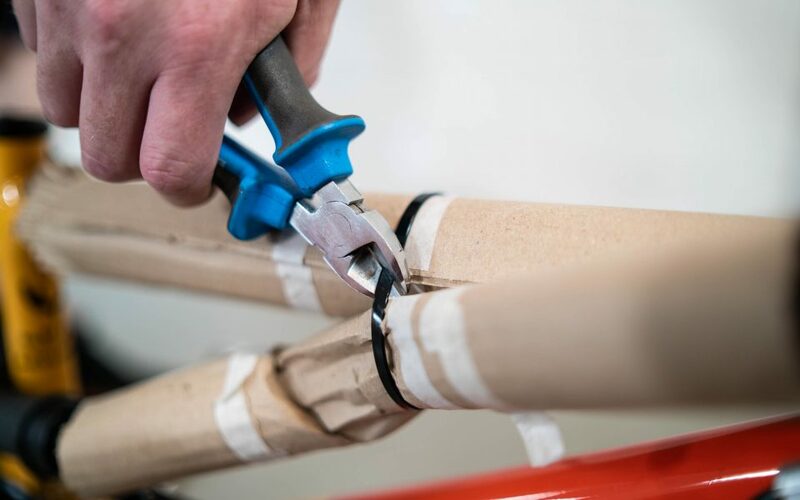 2) Cut the zip ties holding the parts to the bike. 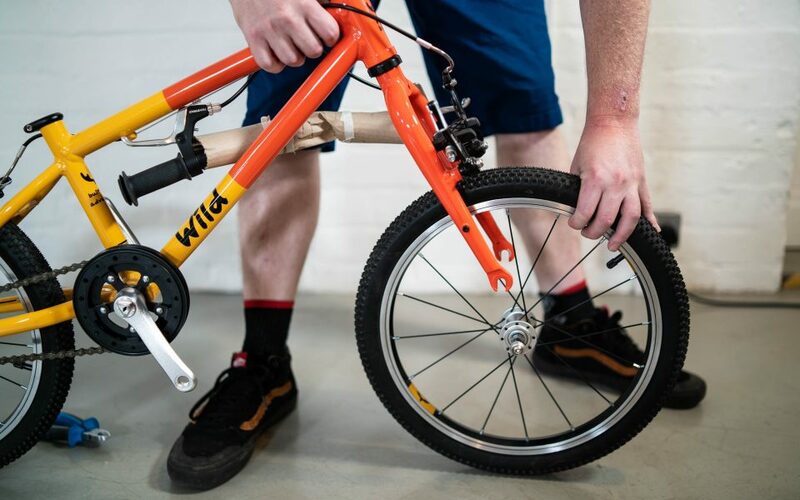 3) Remove all packaging from the bike. 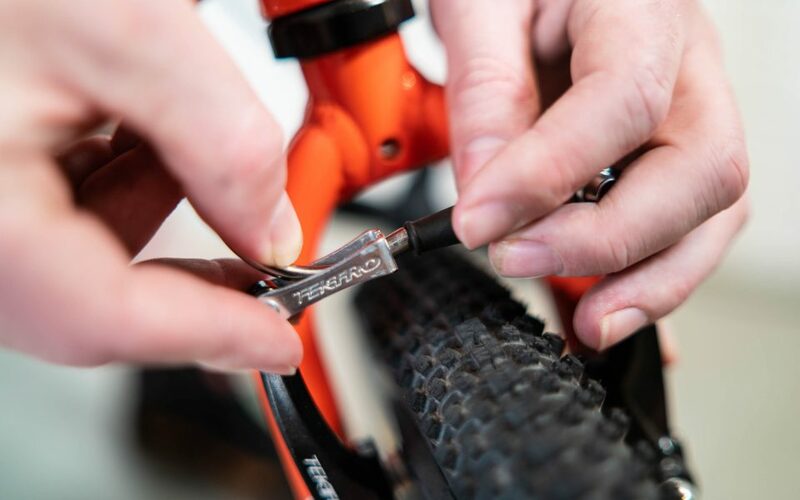 4) Remove plastic fork guard and any other plastic guards. 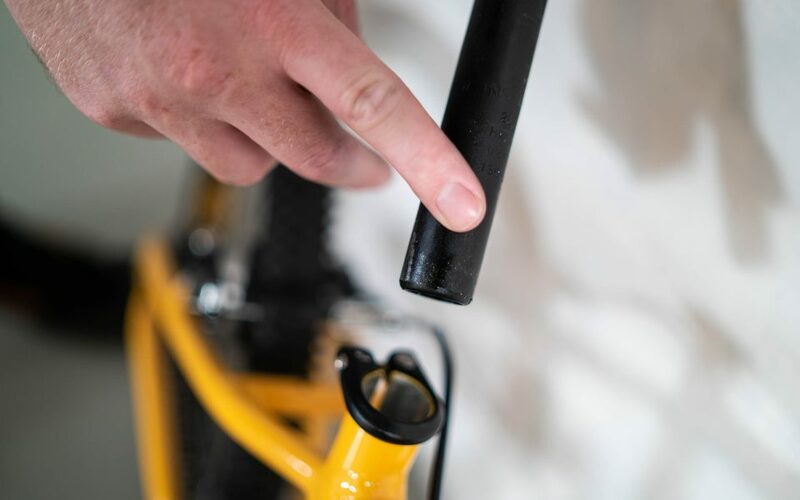 6) If your bike has an allen bolt ensure each side is tightened using the allen key provided. 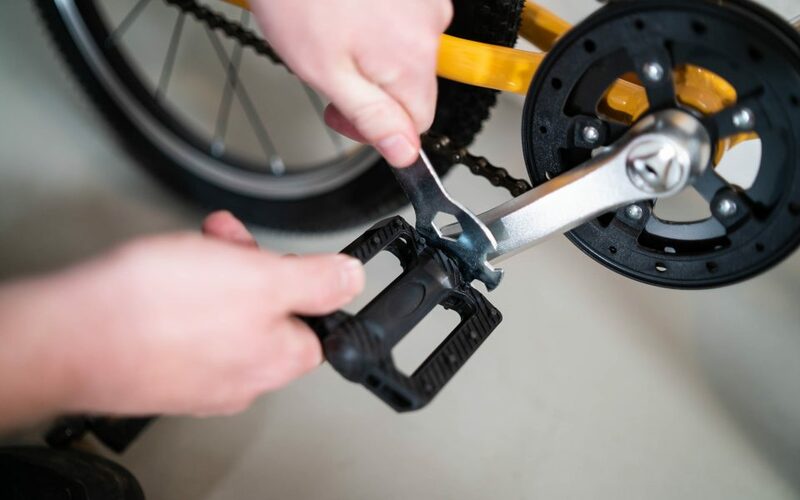 If your bike has a QR lever hold it open, turn clockwise and clamp it towards the rear of the bike. 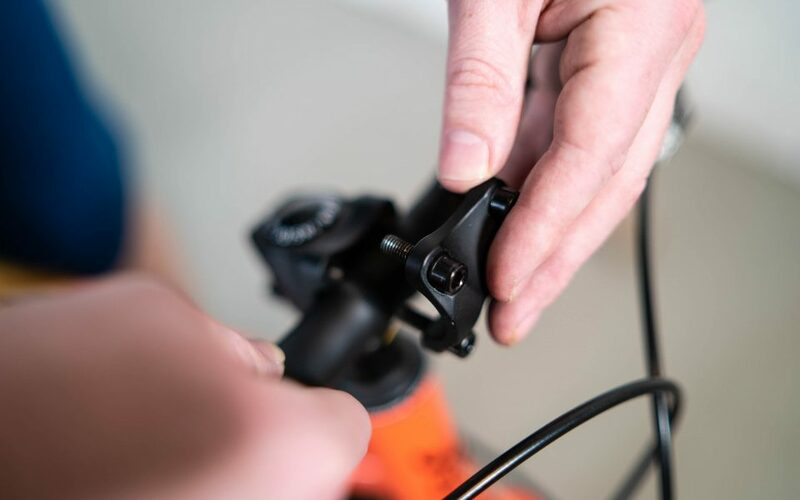 7) Hold the handlebar in the stem and align the faceplate. 8) Start by loosely tightening two opposite corner bolts. 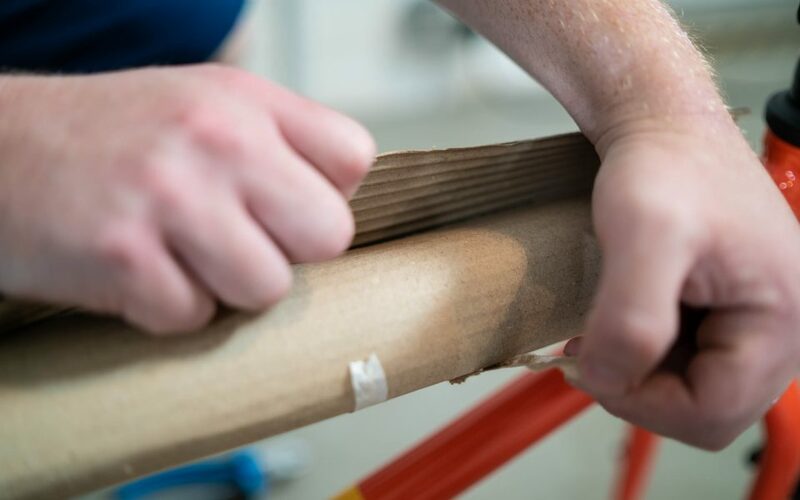 9) Tighten the bolts in a cross pattern to ensure they are all tightened evenly. 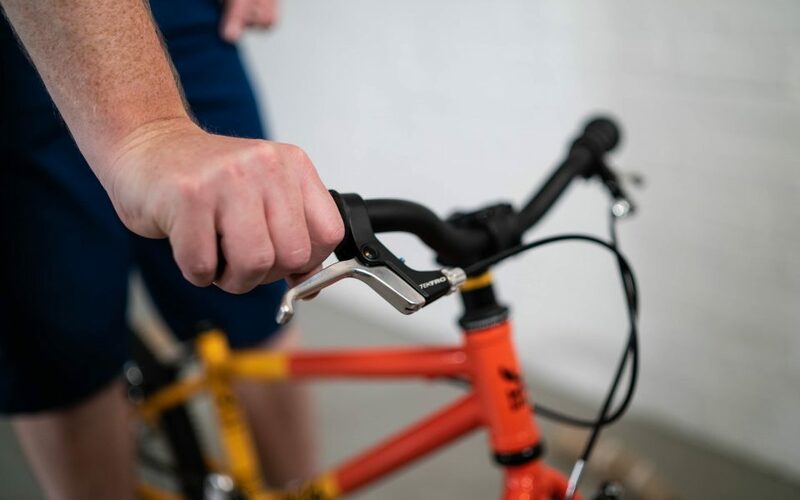 10) Ensure the levers are in the correct position. 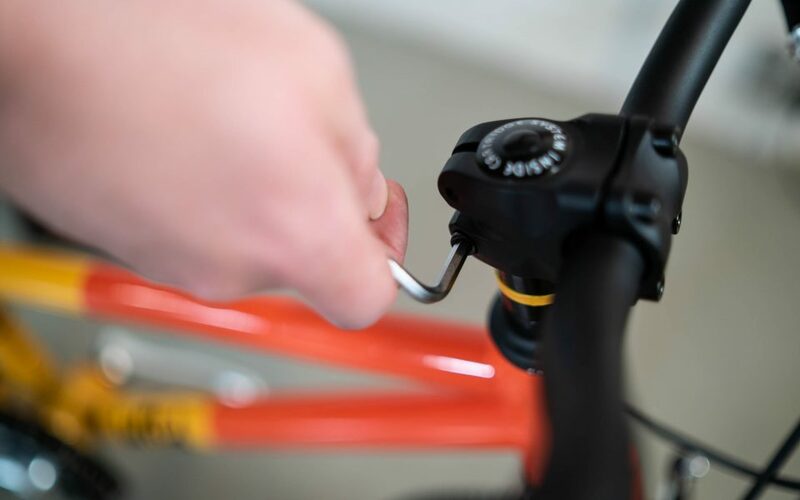 11) If the handlebars are not in line with the front wheel then loosen the two side stem bolts slightly. 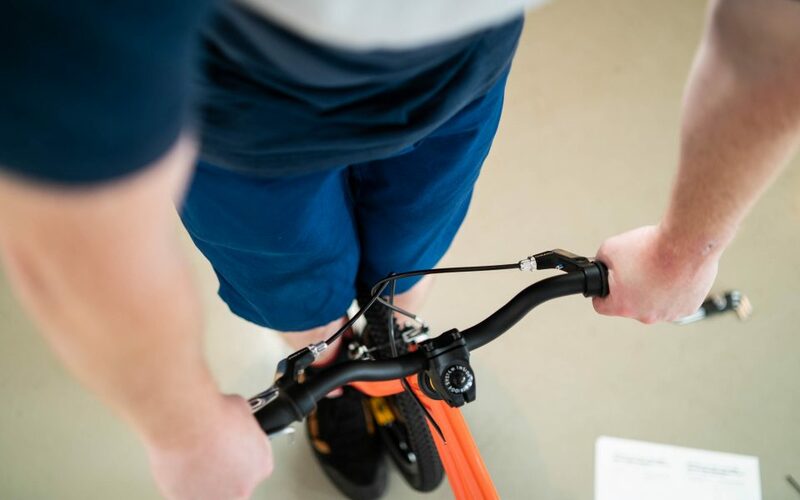 12) Stand over the bike and align the handlebars with the front wheel. 13) Check the front wheel is in line. 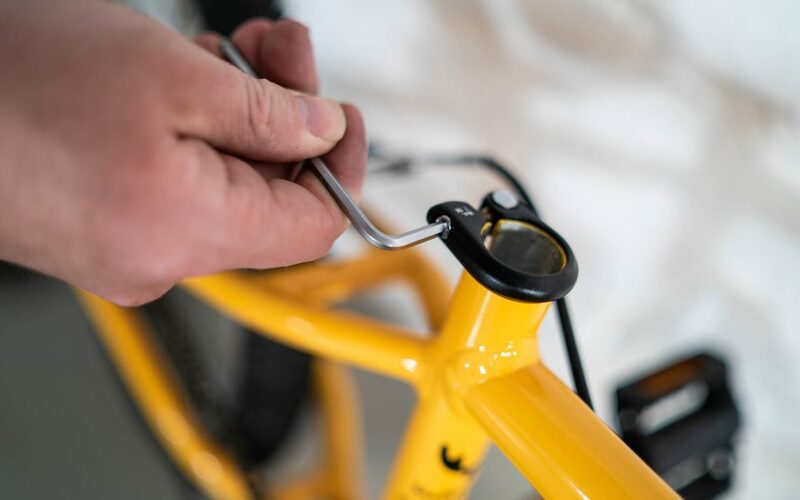 14) Tighten the two side stem bolts. 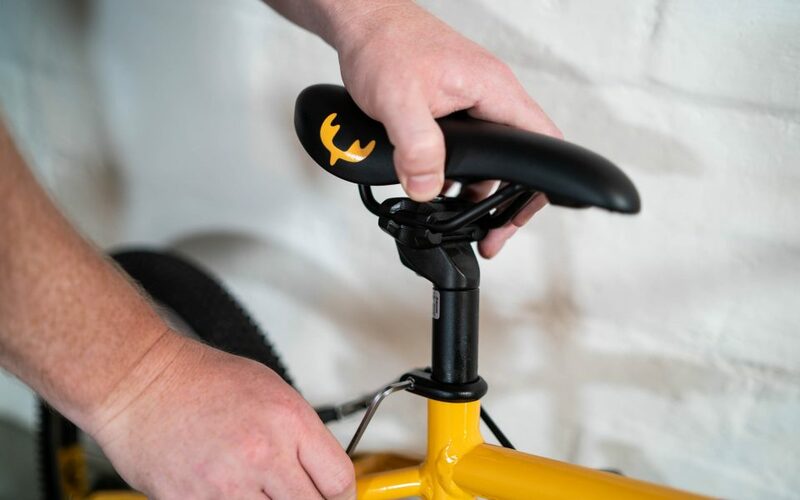 You shouldn’t need to touch the bolt on the top of the stem. 15) Hook the silver metal cable noodle into the hinge. 16) Ensure it hooks in correctly and sits against the metal collar. 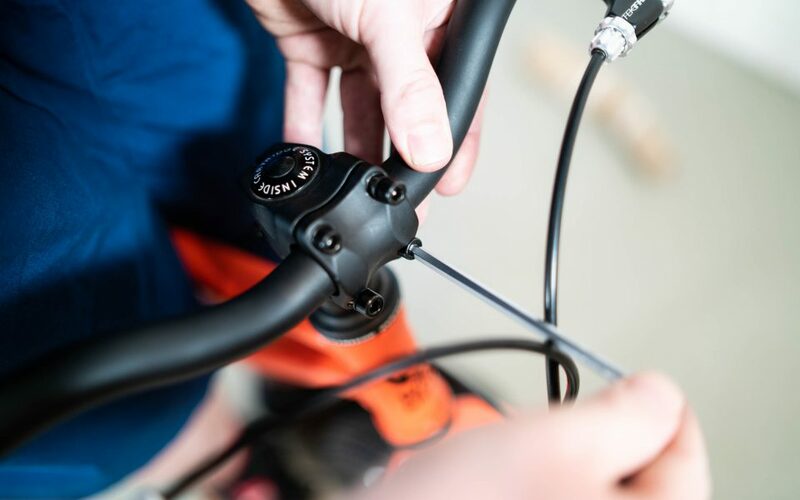 17) Pull the right brake lever to check the front brake works. 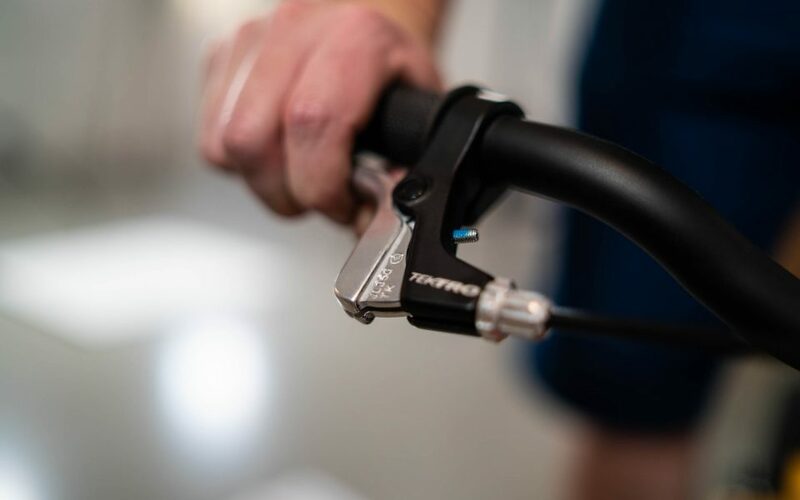 Pull the left lever to check the rear brake. 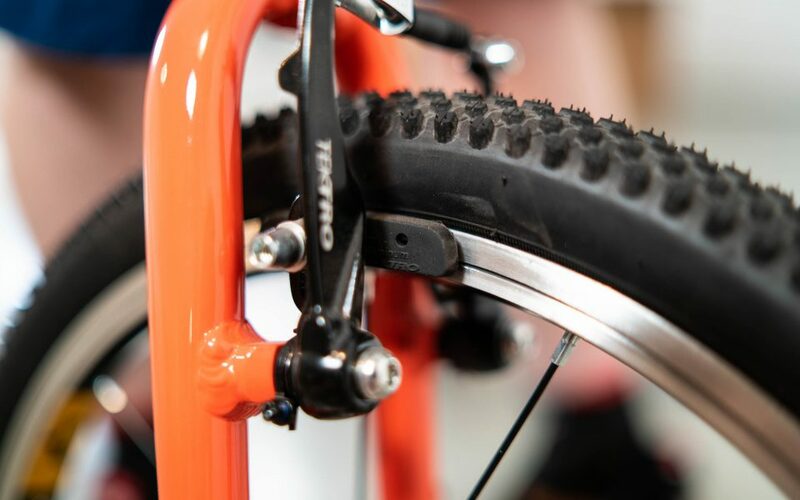 18) Both brake blocks should touch the rim at the same time and spring back equal amounts. 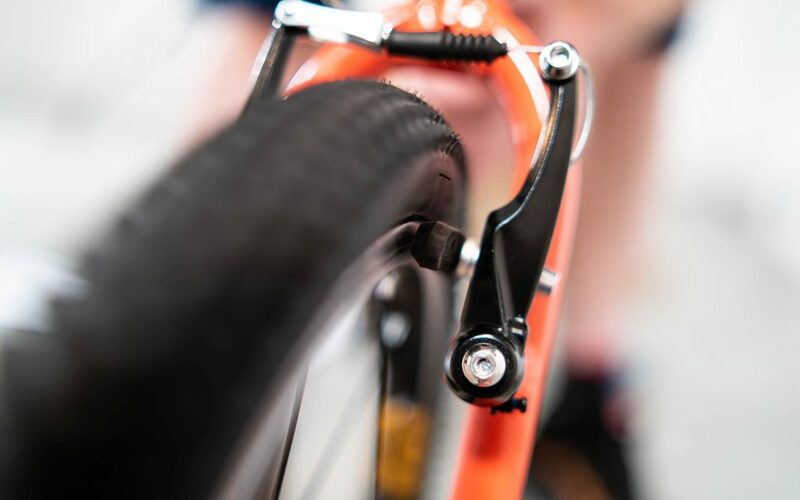 19) Ensure the front and rear brake blocks do not touch the tyres at all. Check the brake blocks sit in line with the rims as shown. 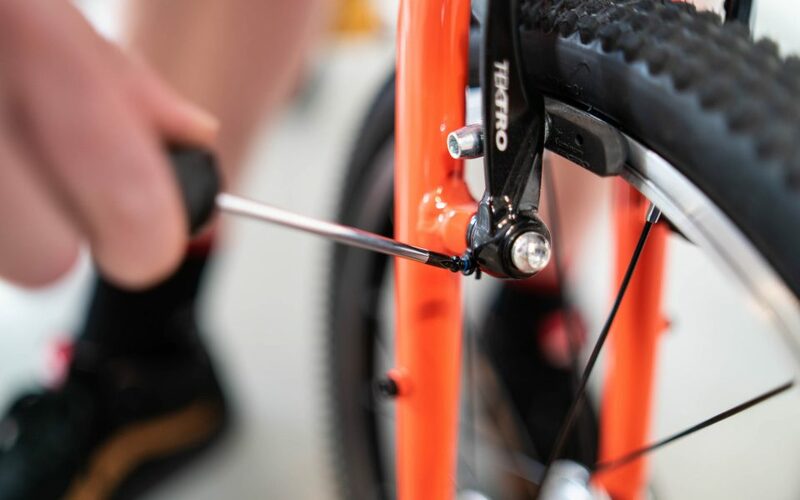 If they don’t you can use the allen key supplied to adjust the brake blocks. 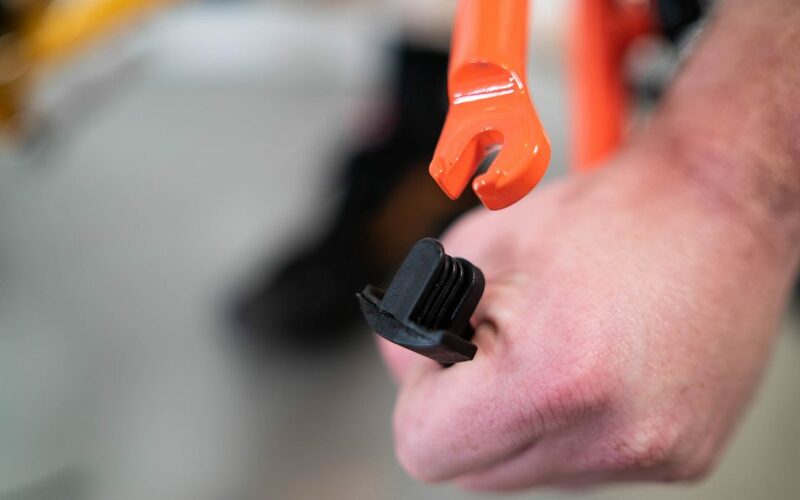 20) If one side of the brake does does not spring back when the lever is released use a philips head screwdriver to slightly screw in the adjustment screw on the problem side. 21) Turning the screw clockwise will pull the brake block away from the rim. 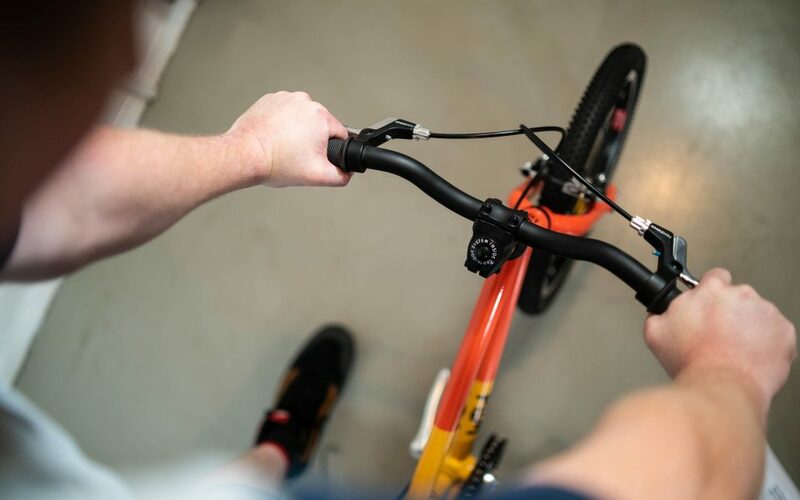 Pull the brake lever between adjustments to check before turning further. 22) Insert left pedal and tighten using the supplied spanner (marked L on inside of axle). Turn the left pedal axle anti-clockwise (whilst standing on the non-drive side of the bike). 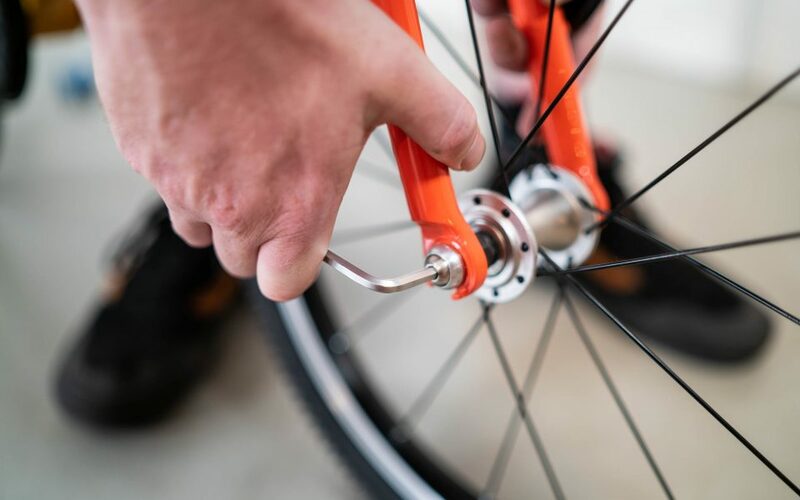 23) Turn the right pedal axle clockwise (whilst standing on the drive side of the bike). 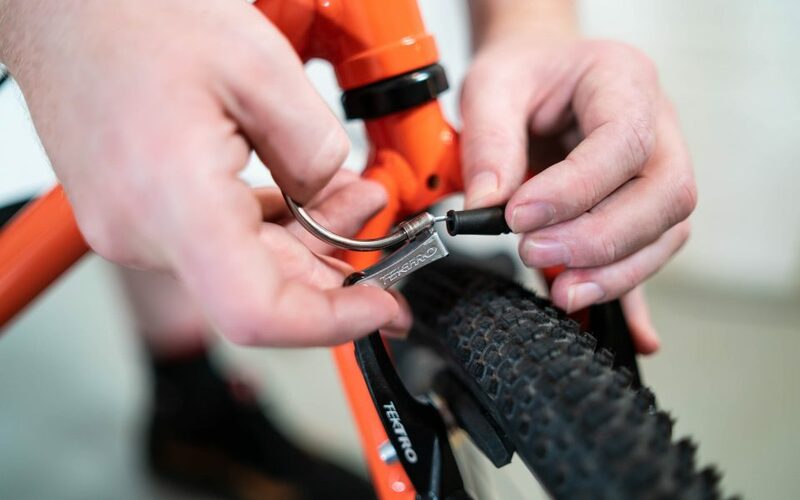 24) Ensure both pedals are tight. (Max 30NM). 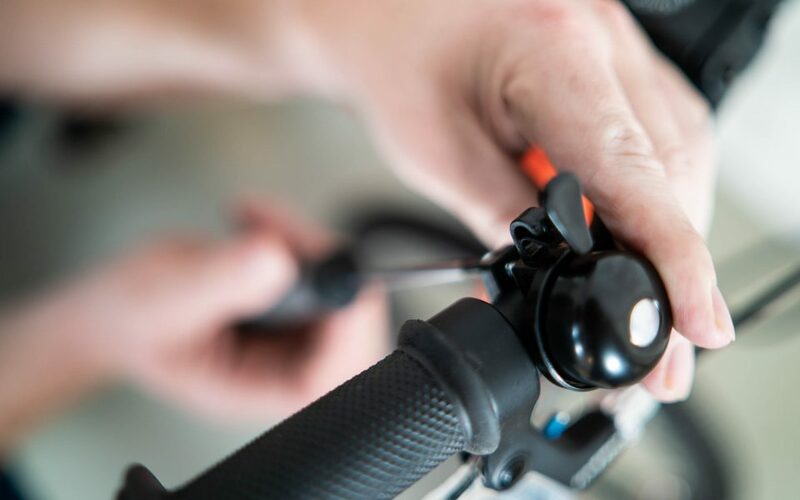 25) Loosen seatpost clamp, lubricate the lower post with bike grease. 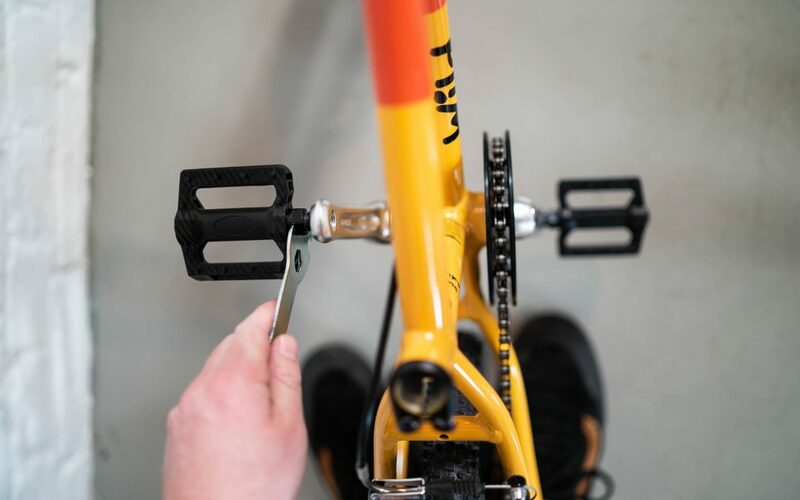 26) Insert the seatpost into the frame and set the seat to the correct height. 27) Check the saddle nose is aligned with the toptube. 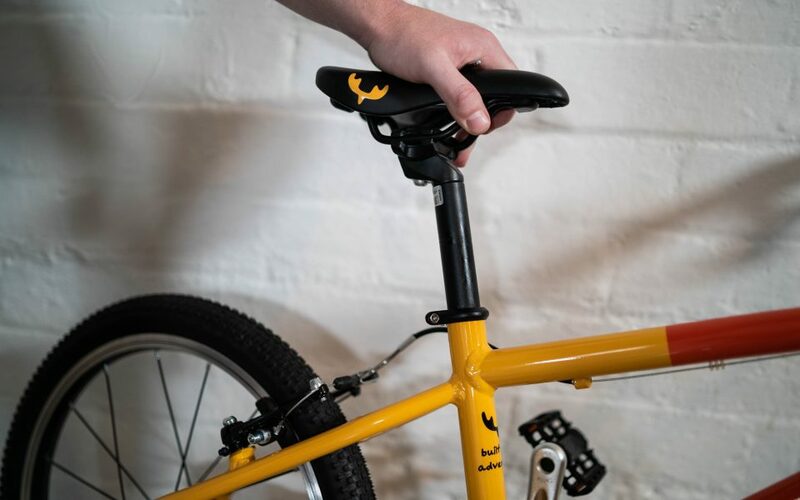 29) Find the bell in the small parts box and mount it on the handlebars. 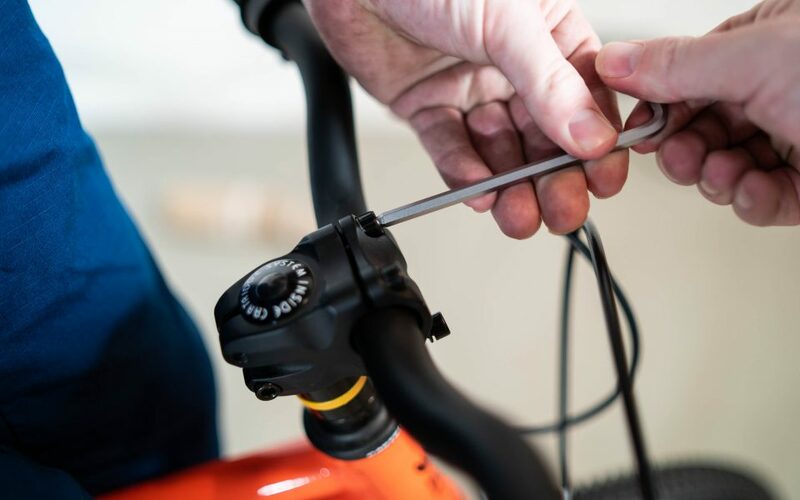 30) Tighten the bell using a philips head screwdriver. 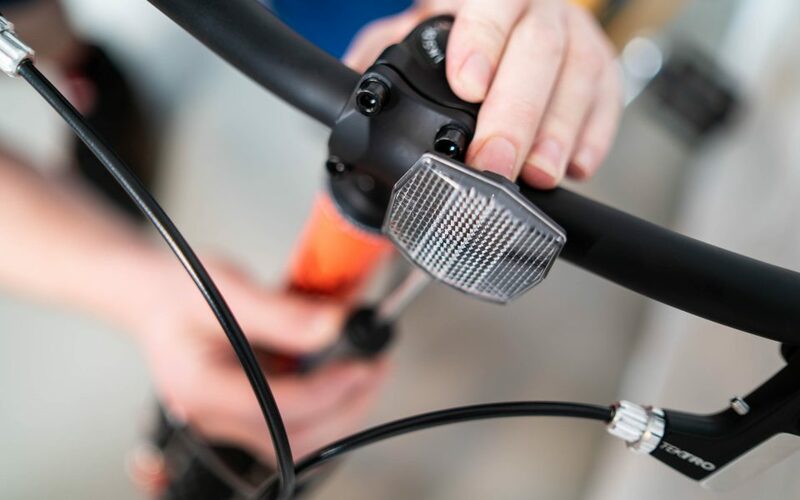 31) Fit the front reflector using a philips head screwdriver. 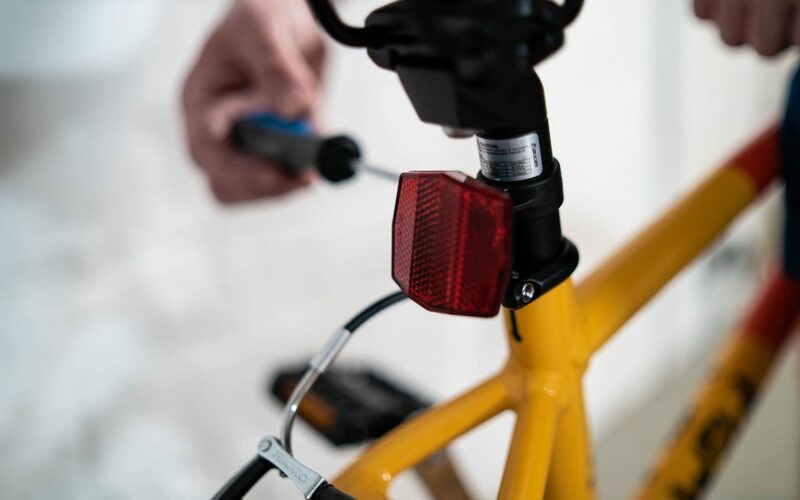 32) Fit the rear reflector using a Philips head screwdriver. Ensure the reflector is pointing up. You're all done. Bring on the adventure!